Consumer culture tells us that we always need more. What we have is not enough. Who we are is not enough. I spent a long time thinking that I could only start to really live my life and embrace it, once I improved myself to the point where I was ‘acceptable’. I was unhappy and so I fell into the consumer trap, believing that if I would buy more stuff, I would be more happy. The stuff I am talking about is clothes, accessories, cosmetics, gadgets, devices- you know, the normal stuff. My life changed when I started to become more content with what I have and ironically the change came about when I realised that the key to contentment had been there in my classroom resource cupboard all along. I teach Religious Studies which is a niche subject here in New Zealand and doesn’t exist in some other countries but in the UK it has long been a valued part of the curriculum. I have spent years teaching my students what different religions reveal about contentment- that it is not to be found in stuff but by looking within, but didn’t really process the truth that resides within these teachings, the truth that transcends religious belief, until relatively recently. 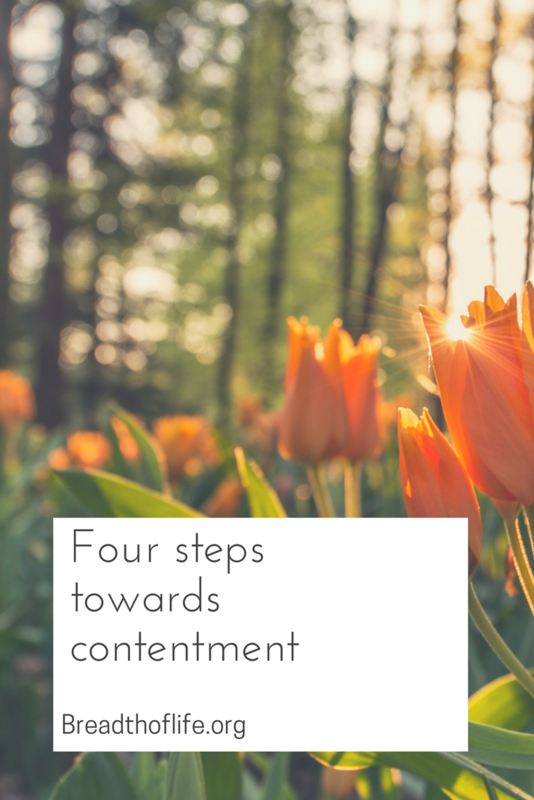 Today I want to share what I now know- the steps that have helped me to become more content and at peace with who I am. 1. Recognise that wanting stuff causes negative emotions. The Buddha identified craving as the root of dissatisfaction. When we crave more of something, whatever it is, we are drawn to feeling resentment, jealousy, frustration, anger or pain. Once we understand this link between wanting stuff and negative emotions, we can start to change how we feel and take the first step towards contentment. 2. Stop craving more stuff. If wanting more leads to negative emotions, it makes sense to try and stop wanting more. Instead of craving stuff, notice what you have and strive to cultivate an attitude of gratitude. Making lists of all I have to be grateful for never fails to make me feel more content and at peace. The practice of reframing, of looking at things from an alternative perspective can also be really effective. When I start down the path of wanting more, or hear myself complaining about what I don’t have, I personally find it useful to remember that in statistical terms I have essentially won the lottery. I am in good health, I have never had to worry about my basic needs being met and I live in a peaceful country where I am free to pursue education, employment and opportunity. This makes me one of the fortunate minority. 3. Focus on developing the treasures within you rather than material stuff. Jesus famously encouraged his followers to store up treasures in heaven rather than treasures on earth and the majority of the world faiths emphasise the spiritual or inner life over what is external and subject to change. As I have started to work on developing my inner self through mindfulness, reading, practicing gratitude and becoming more intentional, I have undoubtedly become more content. Whether you believe in God and heaven or not, working on your inner self rather than your external self can help you to become more content. My goals used to be tied to numbers on the scale or pages folded over in magazines highlighting products I thought would miraculously transform my appearance. Shifting to more inner goals has brought more peace into my life. One of my personal goals for the past couple of years has been to become more loving and to remember love in all my interactions. Working on this part of myself has helped me to focus on what is most important in my life, which is not the stuff I have but the people I am spending my life with- my family, friends, neighbours and colleagues. This is my personal motto and one that finally freed me after years of anxiety and fear. In the competitive environment of modern society, it is easy to fall into the trap of believing that you have to be perfect, you have to do everything perfectly or someone else will be better than you and you will not be good enough. After a decade of telling students that Genesis 1:26-27 was my favourite Biblical quote for GCSE assessment purposes, I finally realised that it was also the most relevant and useful Biblical quote for me. I had spent years thinking that I would never be enough before it hit me that if I am made in the image of God then I have to be enough just as I am. Whatever you believe about God, I think there is great power in this verse because it reminds us that there is something unique and special about each of us as human beings. Therefore, whatever we do, if we give it our best shot it will always be enough because we are perfect just as we are. I hope there is something here that can help you become more content with who you are and with your life. 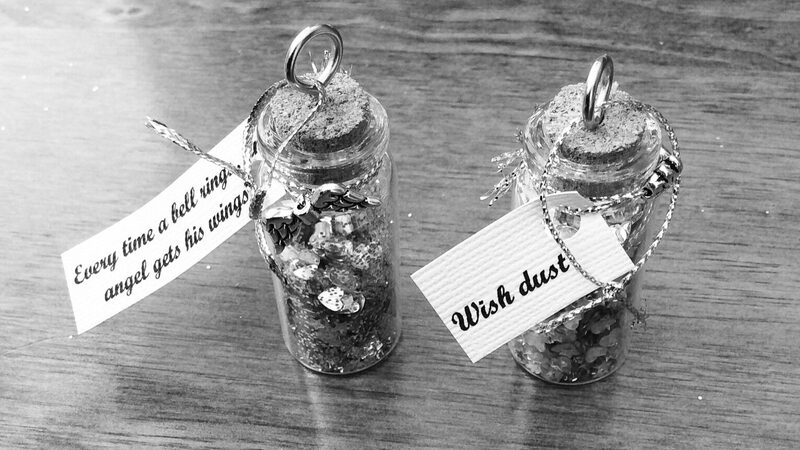 We are all a great deal luckier than we realise.